When the big wheel is spinning, there will be with colorful flashlight around at the spinning time. Earn tickets what the flashlight points out when the big wheel stops. 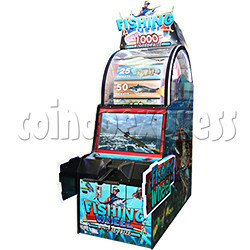 It comes with good quality ticket dispensers, high capacity ticket trays, easy to play with.